On your property, there is your home and other buildings such as a garage, shed, etc. And then there is everything else, which is what landscaping architecture and design are concerned with. Note: Landscaping varies by regional understandings of local topography, such as soil quality, prevailing winds and depth of the frost line. All this aims to establish a character for your property that extends beyond your home, as is visible to a visitor or passerby. Where To Start and How Much will Landscaping Design Cost? A landscape designer can be expensive, costing on average $4,200 to create a detailed plan for comprehensive changes to your property. Note: Landscape designers and architects are not the people who will perform any of the work, but they will provide the scope of the project, based mostly on their expertise and partially on what it is you say you desire. Rather than paying thousands of dollars, there are other options if you are on a tighter budget. A site plan of your property can be drawn up by 24hPlans.com. Once you have a detailed site plan, or a customized photo-realistic 3D render, a landscape professional can then be hired as de facto consultant, usually at a rate of $50 to $100 an hour. Unless your property is enormous (more than an acre), such a meeting may be just a couple hours. 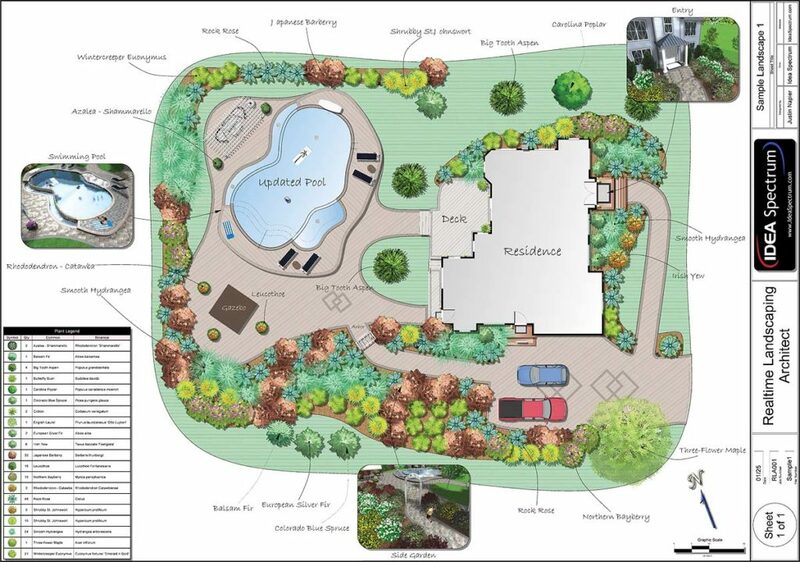 If your ideas require significant excavation work to the land, then proposed plans could be done as a professional mock up by the same team responsible for producing your current site plan. Does a Major Landscape Architecture Project Require a Building Permit? For many major landscape projects, a building permit is necessary. When it is exactly necessary differs by municipality, though it is wise to plan on needing one rather than foregoing it. Changes made to a property without a site plan and a building permit can come back and haunt you at time of sale of your property/home. There are so many projects that fall under landscaping, it is probably not possible to cover them all in an article. Heck, even a website such as LandscapingNetwork.com dedicates dozens of pages to guides and ideas. What is likely to drive your landscaping projects are your plans (can’t forget that step), your budget and your perseverance. Unless your needs are simple, as in a single project, then plan on series of comprehensive projects taking many seasons to come to fruition. Part of your plan ought to prioritize what comes first and what can wait. In this way, you can divide comprehensive projects into manageable sections and engage in a “pay as you go” landscaping improvement work. With that said, we aim to help you by conveying a list of projects and what they cost on average. We’ll very briefly describe what the project entails, though realize each of these entails their own level of planning and we urge you to seek out additional details before, ahem, breaking ground. 1 – Install sod – average cost range = $1,850 to $4025. Real grass that comes in rolled bundles. Factors of yard size, slopes and soil composition impact price. 2 – Seeding a lawn – average cost = $750. Rake, till soil. Use spreader to lay seed out. Size of yard and type of seed are main cost factors. 3 – Install a sprinkler system – average cost = $2,310. Making use of underground pipes and discretely positioned sprinkler heads throughout the yard. 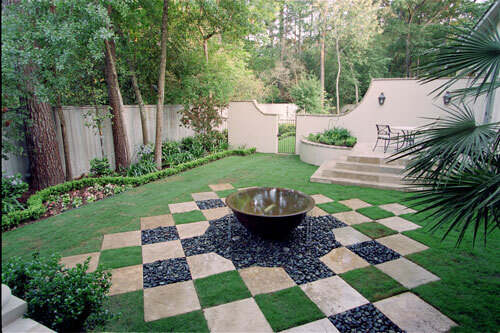 Size of lawn, coverage area and quality of installation are primary cost factors. 4 – Install yard drainage system – average cost range = $1,810 to $5,000. Because water can pose a problem to your home’s foundation, a system in your yard seeks to minimize such problems by steering water away from the home. Expert advice and labor associated with creating an effective system are primary factors in price. 5 – Re-sloping a lawn – average cost = $1,850. Grading any area of lawn takes expertise. This is changing topography for reasons that are likely part of comprehensive landscaping. Mainly labor charges and planning are what drives cost for this project. 6 – Cutting down a tree / removing stumps – average cost = $650 to $1,000. Fairly self explanatory. If pruning branches, you pay less. Height of tree and labor are primary pricing factors. 7 – Install landscape curbing / edging – average cost = $1,150. Building a small but discernible barrier between elements on a lawn, i.e. between garden and lawn. Size of the project and materials used are factors for the cost. 8 – Install a retaining wall – average cost = $5,150. Building a highly visible barrier to keep yard items, namely soil, in your own property. May serve other purposes. The materials and labor are primary cost factors. Stone walls are expensive. 9 – Installing yard fencing – average cost range = $1,800 to $3,500. Fences are usually installed for added security, privacy or marking of property lines. Height of fence, length in linear feet, materials used and labor all are factors in pricing of this project. 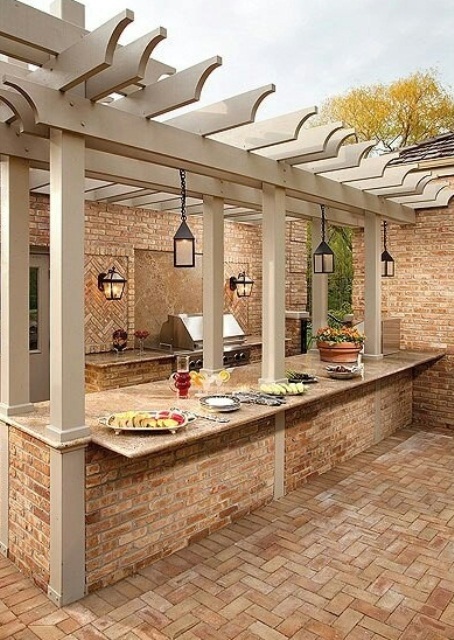 10 – Install a patio – average cost range = $1,750 to $4,500. Patios generally make use of some form of stone and grading the property to a smooth surface where seating can occur outdoors. Size of the patio, materials used and labor are primary factors for this project’s cost. Special note: installing a pathway is roughly the same task and costs are about the same, on average. 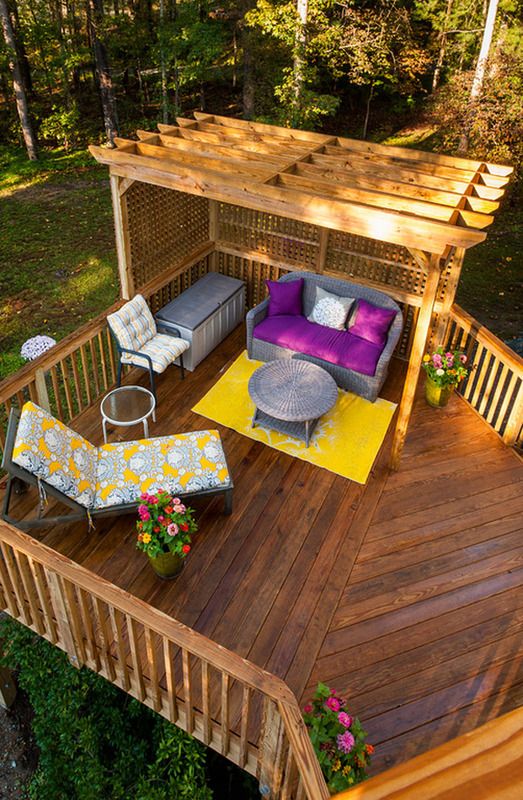 11 – Build a deck – average cost range = $4,075 to $9,910. 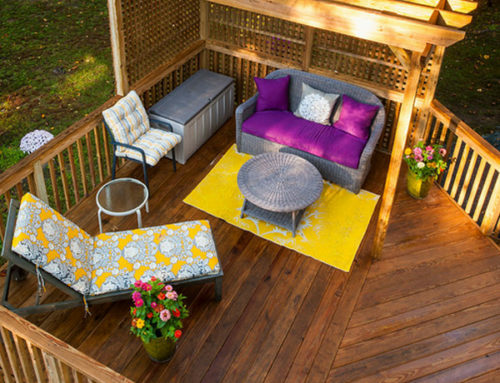 Decks generally use wood or composite material and are often raised above the ground to equal height of rear entrance of a home. Decks can serve many purposes such as outdoor dining, relaxing and entertaining guests. Size of the deck, stairwells and materials are prime cost factors. 12 – Building a Pergola – average cost = $3,450. 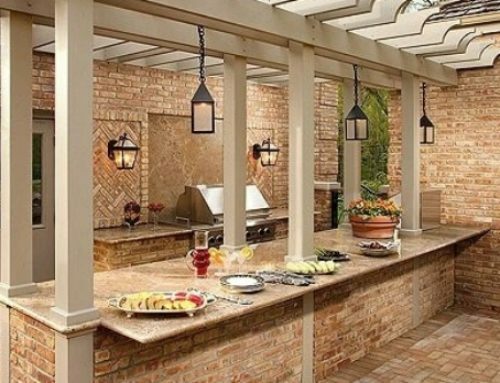 Pergolas have an open, latticed roof and are usually built in areas where there is outdoor seating, i.e. patio. Materials and labor are costs factors for this project. 13 – Build a gazebo – average cost range = $4,025 to $9,825. 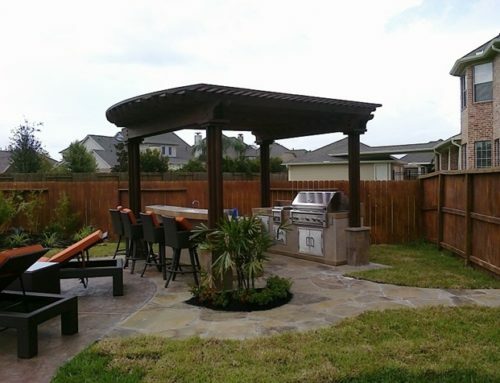 A covered structure that adds shelter and character to any property, generally used for relaxing or possibly dining. Materials, size and labor are what drives this project’s cost. 14 – Resurfacing / repairing a driveway – average cost = $1,540. Cracks, blemishes or potholes all make for a driveway that could use repair, resealing or resurfacing. Layout of the driveway and labor are primary cost factors. 15 – Installing a misting system – average cost = $2,350. On those hot days, imagine having ability to cool down with a fine mist that washes over you. That’s what a misting system does. 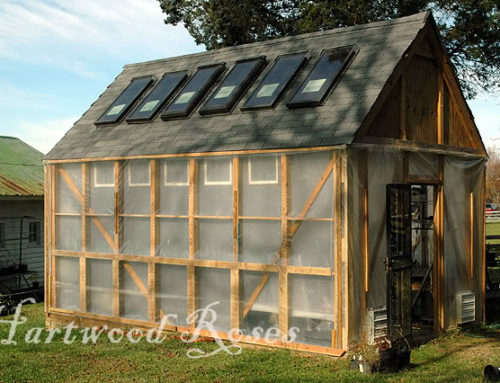 Plus it can help keep plants/flowers cool as well. This luxury item benefits from expert installation and technology which are primary cost factors. 16 – Install a water fountain – average cost = $2,525. A luxury item for any garden or yard with water spouting into a relatively small pool, but not for swimming in. Size, materials, labor and plumbing / electricity needs contribute to costs for this project. 17 – Install a pond – average cost = average cost = $3,050. Excavating a portion of your yard for permanent water and possible aquatic life. Size, shape and expert advice are cost factors on this project. 18 – Install a pool – average cost range = $45,000 to $100,000. Similar to a pond and water fountain, but more fun because you can immerse yourself in it. Though comes with substantial upkeep and is arguably the most luxurious item on the landscaping menu. Materials that line the pool and labor it takes to install that are main cost factors. Here we explain the pros, cons and chief reason for why to consider any landscaping on your property. The Good: Landscaping adds character and curb appeal to an otherwise bland property. It serves multiple purposes, many of which get you outdoors enjoying or taking extra special care of valued features around your home. 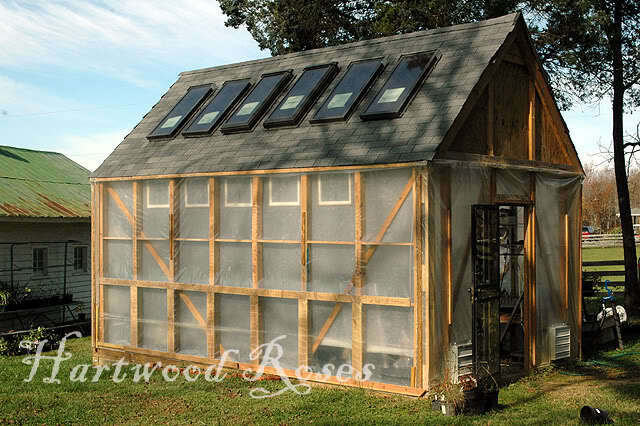 It can aid in energy efficiency of your home and provide better care to structures, namely your home’s foundation. 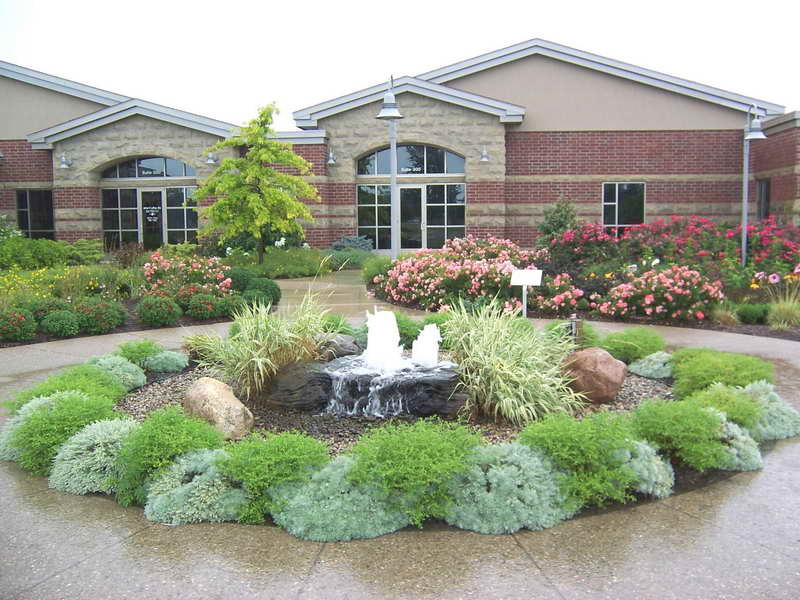 The enjoyment factor from almost any landscaping addition is often high for most homeowners. The Bad: Projects can be costly. Heck planning for projects can be pricey. Some projects have initial investment and then ongoing costs due to maintenance. Which leads to an obvious con of having to maintain additional items outside of your home, as if home maintenance wasn’t enough for you. The Oh So Pretty: The added value from landscaping is enormous. It obviously depends on the project you go with, but many projects can recoup high value at time you sell your home, though not so much with a pool which has horrible ROI. Well designed decks and patios that are essentially additional (outdoor) rooms tend to get great return on your investment. Take-home tip: always ask for several quotes before settling for a contractor. Note: Here’s how we can help: 24hplans has team of highly-trained, professional architects and drafters who can prepare any kind of site plan in the shortest amount of time possible, so that you can easily obtain that building permit and get on with your project. Use the promotion code: 24hplans-20off to get a 20% discount off any package. — Please note this is a limited time offer, exclusive to the readers of our blog. This offer is not being advertised anywhere else.